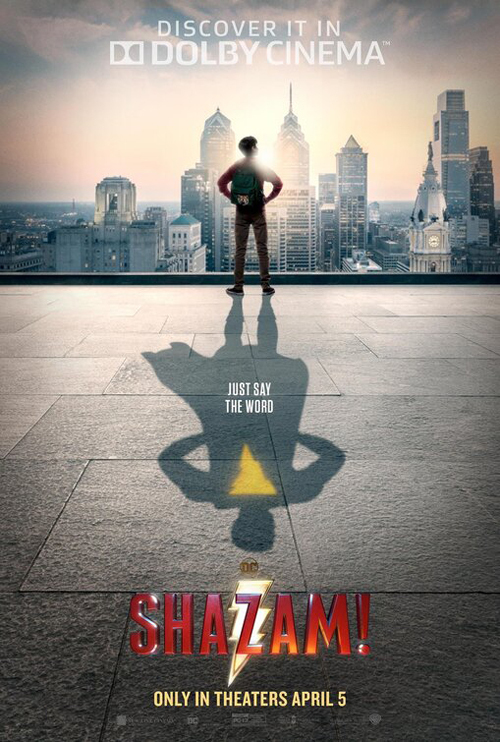 A superhero version of Big is such a no-brainer selling point, there’s even un homage to its giant keyboard in Shazam!, but tonally, the movie is much more closely affiliated to the darker Amblin/ Spielberg fare of the prior five or so years, the likes of Young Sherlock Holmes, Indiana Jones and the Temple of Doom, and Gremlins. Of the latter, if Joe Dante had made a superhero movie (besides passing on Batman and sadly falling out of The Phantom), I could quite imagine this being his baby, right down to casting John Glover as a particularly unsympathetic dad (quite something for Glover to dial down the charm to this extent, just see Donald Clamp for evidence of how difficult it was to retain the Trump parody in Gremlins 2: The New Batch once he was inimitably cast). That 1974 opening scene, establishing Mark Strong’s Thaddeus Sivana’s backstory, is all kinds of unrelentingly unrepentant nastiness, from rejecting the hapless kid as unworthy to having him then undergo tirades of abuse from his brother and father and thenexperience a car wreck his brother blames him for. It’s strong evidence for the merits of employing a “horror” director (David F Sandberg previously made Lights Out and Annabelle: Creation) who is sufficiently measured to dial it back – but not too much – for a family audience. If anything, Shazam! is more extreme than I expected, given the goofy title and concept; I’d heard it had scary-for-kids moments, but some of the ensuing is tonally very dark, in particular adult Thaddeus (Strong is always reliable, and he is here, but it must be admitted there are diminishing returns in parading him as a villain yet again- he’s even done it for DC before in Green Lantern), showing up at dad’s board meeting and throwing his brother out of a window before leaving his dad to be dealt with by one of the Seven Deadly Sins (Greed, obviously; the others have made short work of the remaining directors). As a villain, though, in terms of antagonist to the protagonist, Thaddeus is altogether less interesting – the false-eyed cartoon villain in the real world reminded me in passing of the much better Charles Dance in Last Action Hero – and Henry Gayden and Darren Lemke (respectively, the good fun Earth to Echo and less so Jack the Giant Slayer among their credits) never solve the problem of how to carry over his origins beyond the status of a rather one-note adult villain. It probably doesn’t help any that the hero is so engaging; Zachary Levi (in an appropriately over-inflated muscle suit) is having a ball as adult Billy Batson (the younger played by Asher Angel, absolutely fine, as only a kid could be whose parents gave him a name spelling an inevitable showbiz career), goofing off without using his powers to do good for far too long before he actually does (involving, along the way, nearly causing mass fatalities when his actions lead to a bus dangling off a bridge); Jack Dylan Grazer (It) easily eclipses Angel as motormouth, goofball sidekick Freddy, snagging all the best lines, and even the best maudlin sympathy votes (Angel has no mom, but Freddy doesn’t even have full mobility). By far the best section concerns their discovering Shazam’s powers and not necessarily putting them to the best use (a hilarious sequence of a stopping a supermarket hold up turns into a dare competition of shooting Shazam in the bullet-proof face). In the mix are various side orders of caring foster parents (Marta Milans and Cooper Andrews), school bullies deserving a comeuppance, foster siblings destined to find out Billy’s secret (the standout being Faithe Herman’s talkative, hug-demanding Darla) and the quest for Billy’s natural mother, but as long as the picture balances its sincerity with a wilfully anarchic streak it stays the right side of over-sentimentality. Obviously, this is a family morality tale, so a strong take-home message is a prerequisite, and it’s a sign of the makers’ skill that this isn’t too sugar-coated. The problem Shazam! encounters occurs during the extended showdown with Sivana. Billy has fled their one-on-one confrontation, unaccustomed to his powers and understandably unnerved by someone who can actually do his superhero self damage. Following a standoff in which the rest of his adopted siblings have been held hostage, Billy realises the extent of the powers bestowed by Djimon Hounsou’s Wizard, so granting his new kin their own super-abilities (including poor disabled Freddy, who can now float)… and as if by magic, the picture loses its footing. One comedian with natural timing playing a superhero is not remotelythe same as five Big John Little John heroes struggling to do likewise, four-fifths of whom make their younger counterparts look like expert players when it comes to delivering zingers. More than that, the decision lets the air out of the specialness of the founding concept, diluting the uniqueness, brings it more in line with a lame Saturday morning kids show, but on a grand budget. Maybe that’s the kid in me speaking, resenting the loss of the different-from-the-rest premise, but if so, I’m proud to stand by my relative immaturity. If everyone’s super, there’s no cachet in the super-ness at all (unless all the little Nietzscheans can be superior little fascists together). Perhaps, if the results had been closer to a Mystery Men line-up of actually funny people (but in a consistently funny movie to boot, which is where Mystery Men went a bit wrong) it might have been different.